A very interesting development took place on March 27th, 2017 around 12PM Pacific time. A massive false light matrix was extricated from the planetary surface, with connections to the moon, as well as Saturn being dissolved. Once locked in place, an artificial vortex was induced, siphoning everything in the astral with the resonance of Source into this vast reincarnation machine. The result was if anyone on the surface of the planet died, their soul would not be able to escape this energetic vortex’s “gravity” and they would be pulled into controlled lower layers of the astral, where preconditioned religious beliefs would dictate into which simulation they were placed in. After a period of rest, the persons “guides” would inform them that they have more lessons to learn, deeds undone and more things to accomplish planet-side, and the soul will blindly step into another incarnation. The only problem being that they are zapped with an extremely strong etheric, nuclear, and electric blast before they incarnate, thus forgetting everything they learned before stepping into the human experience again. Related: Remind Me Again, Why Did I Incarnate To This Sh*thole? Once in amnesia, the Matrix programming creates more than enough trauma to slip the etheric implantation systems into the body, and the cycle of feeding begins anew until the person dies, reincarnates, is fed upon, dies, reincarnates, etc…. Here is the major difference today. With the removal of this false light matrix, the vortex is no longer operating. Let me repeat this. THE VORTEX IS NO LONGER OPERATING. People are dying every second around the planet, and instead of being pulled into this tunnel, they are finding the highest, cleanest levels of the astral and are receiving true healing. They are coming back in already. The children that will be born from here on out are going to change the face of this planet energetically. This is a line in the sand. The dark is slipping faster than they ever have before, and now….now they cannot replenish the ranks of their “food”. We can come back in remembering much more, if not everything. This does not even encompass what is happening with Saturn right now. Saturn is how the dark has locked us inside of time. Saturn is the loop in the endless flow of now. Saturn is how we even experience time like we do, instead of multi-dimensionally. The machinery is still working, but the major timeline incursion abilities are no longer functional. The dark can no longer reach back into time and remove threats as they pop up in the now. No longer will the next person to wake up and shatter the Matrix around them be eliminated by going and killing their parents 20 years before they were born. No longer will someone manifest their perfect reality, only to wake up completely disoriented from an incredibly vivid dream that they felt they were in for years. 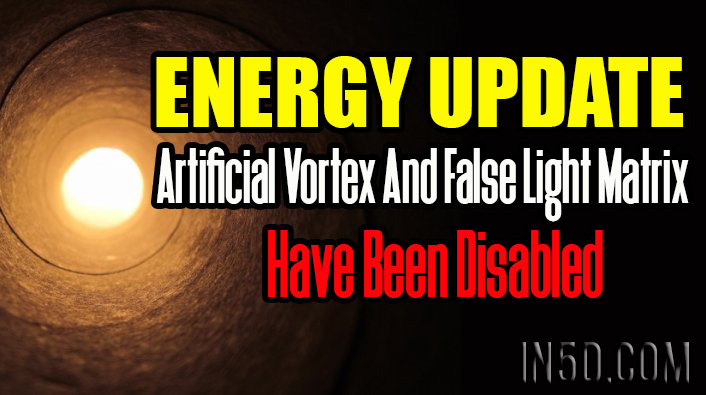 No longer will someone download how to develop a free energy device, only to have all of their work stolen seemingly from nowhere, with no clues or hints given to the world outside on what they were developing. Channelers around the world are going to connect into their “guide” and find nothing, or actually find the entity they connected to begin with before being hijacked. Men, women, and children across the planet are stepping into their divine right of freedom and personal sovereignty, but we still do not have enough. These developments are amazing, and they are nice to hear what is going on, but we do not have enough of the surface population turning on the light. We came here to do this job. We came here completely blind, ignorant, and weak to remember the light, find it in ourselves, and spread it to the world around us. YOU are part of this shift! When was the last time you sat in stillness and connected into you? When was the last time you stretched your body, letting it know through words and feelings, that you truly love and appreciate it for carrying you through this reality? When was the last time you turned off the phone, closed the computer, and sat in stillness with just your thoughts? When was the last time you had a question, and immediately thought about, “What does this person think about this?” without going into the stillness within and asking the most important question? “How do I feel about this?” When was the last time you trusted yourself? The shift is coming. We ARE the shift. Go inside. Find the light. Turn it on and spread it out to the world. Shine through yourself, filling your body with pure golden waves of love. See humanity for what it is, not what it appears to be. It is coming, there is no getting away from this shift. Lets bring it on as fast and as powerfully as possible. The lines are stretching. The inner circles of this esoteric information are growing. People “asleep” at the wheel are finding this information and the sleepers are beginning to awaken. Your job is to be a beacon so they can find you.